Koolatron Inscentable Fragrance Diffuser1.0 ea. 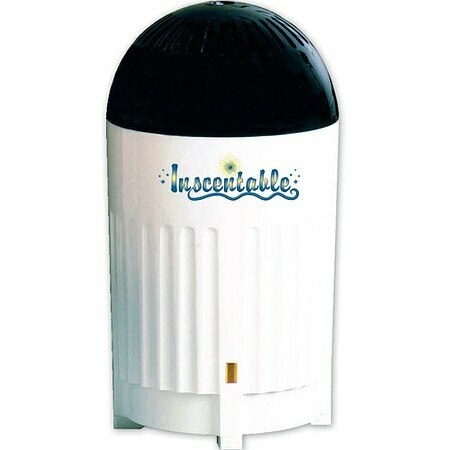 Inscentable fragrance diffuser is a unique and effective home fragrance diffuser/aroma diffuser system that diffuses unwanted fragrances throughout your home. Use with your favorite aromatherapy or home fragrance oil and make home sweet home come true.The attractive, tabletop fragrance diffuser unit plugs into an electrical outlet and can be turned on/off, allowing you complete control of the intensity of the aroma. Insentable fragrance diffuser includes one cartridge, the highest quality of vanilla essential oil and will last up to 90 continuous hours. Inscentable fragrance diffuser covers 1,500 sq. ft. and only needs to be turned on a few hours a day.